According to a Defence report, since 2001 twice as many ADF veterans like myself have been lost to suicide than to armed conflict. Their new strategy seems too little, too late. 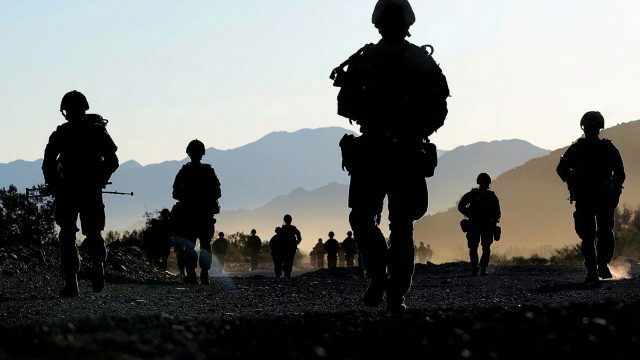 According to a brief prepared for the Defence Minister, twice as many active members of the ADF have committed suicide than have been lost in the Afghanistan/Iraq conflict. The data stems from research that the Australian Institute of Health and Welfare (AIHW) published back in January, discovering that between 2001 and 2015, there were 325 certified suicide deaths. The data that united them was that they all had at least one day of ADF service. improve support and access to specialist mental health services. The strategy was (eventually) implemented in the wake of a 2017 Senate inquiry that threw the veil back on the mental health of our veterans. Government funding (to the tune of $31 million) was pumped into the problem, and this program is the result. It’s not particularly a home run, as the measures just look to build on what already exists, plus instituting a new “veteran’s payment”, which sounds dangerously similar to the dole. The ADF believes that the problem is solving the now. It runs deeper than that. My question is, why did it take so long? Having served, I think I know why. The ADF sat on the issue because they didn’t believe it was one. They weren’t going to look into it until someone forced them to. It’s an issue of culture. One where only the tough will make it, and if you return, well done, and well, you’re not really their problem. Those who chose that way out were weak. No-one says that out loud, but it is certainly thought. It’s the way we’re programmed. To be able to kill, one must be strong. If you make it back, that’s your prize. Two people that I know served, topped themselves. One was a surprise, the other wasn’t. But the challenges we face should be heard, as they’re certainly real. Let me explain. The transition between the before and the after is our primary issue. It’s extremely difficult to force yourself back into the same box that you left. Often you can’t, because it’s no longer you. You can’t concentrate, your mind wanders. So, you self-medicate, drink and whatever to try and function at work, and because of that, you’re let go. Time spent idle is the danger. You become unemployed. You feel alienated, and with that, the images you’re trying to suppress return. You’re unsure how to articulate your problems to those who wouldn’t understand, so you distance yourself. Not because it’s easier, rather it seems like the only choice. In that space, those images overcome you, and they live again. Often, the choice of death to kill them off seems logical. I know this, because I’ve felt this. I know this, because I’ve been told this. I know this, because I’ve seen it. Two people that I know served, topped themselves. One was a surprise, the other wasn’t. The odd thing that I noticed is that discussion between vets isn’t assured. Often we say nothing, primarily to avoid setting the others off. Stoic silence is our default. It’s what we’ve been taught. And that’s what needs to change. We need to be able to discuss what we suppress. With the above considered, the ADF’s measures could work. Especially to those with fresher trauma, those who haven’t completely absorbed the blow. But to those like me, where that trauma has manifested into a lifetime of destructive, negative behaviour, where clutching to the bad, terrible and awful is normal, because you feel that you’ve deserved it, well it might be too late for us. It is certainly too late for those who felt that suicide was the only option. Dave is a retired trucker based in the Territory, with an axe to grind, and a crossword to fill out.